PC Reports are a series of quick first impressions regarding the technical aspects of a PC game. This report was written by PCGamingWiki contributor LDK. For an up to date account of The Witcher 3 fixes and improvements, please visit its respective PCGamingWiki article. The Witcher 3 is a continuation of a popular RPG from a Polish developer studio CD Projekt Red. We are going to look at the technical aspects of the game, test the performance impact of the effects and look at overall quality of the PC version. System requirements for The Witcher 3 are on the more demanding side. A newer quad core CPU is a minimum required processor and the GPUs are also not of the budget kind. Recommended hardware is pretty much the current lower high-end. Let's hope the visuals justify these high demands. All the tests have been done on a system with a Core i7-2700k clocked to 4.5GHz, 32 GB RAM and HD 6870 with 1GB of VRAM. The Witcher 3 was on version 1.02, Catalyst version 15.4 Beta. Testing was done at 1280x800, as no benchmarking tool is available in the game, a test run was a one minute ride through one village to the countryside. Results were very consistent between each run (difference was rarely more than half a frame per second), so only two measurements were averaged for each effect. The Witcher 3 offers two graphics settings menus - Graphics and Post Processing. The main Graphics settings menu offers a fairly standard set of visual options and sliders. A frame rate limiter is present, but can be switched off in this menu. Three display modes are available, borderless fullscreen is the default option. Apart from the Nvidia HairWorks setting, every other option can be set to four different levels - Low, Medium, High and Ultra. HairWorks only offers the options Off, Geralt and On. Four presets are available for less demanding users. The post processing menu features toggles for a few special effects, Ambient Occlusion and Anti-aliasing. There are also three further presets for easy setup. Every setting is applied in realtime and no restart is required making tweaking fairly painless. The Witcher 3 does not offer a field of view slider. The default field of view on my screen seemed OK, but I would definitely like to increase it by a few degrees. The only major issue appears when using the Witcher Senses mechanic because the field of view gets narrower, which I found to be very disorienting. Hopefully there will be a mod for this in the future, but for now you can use a Cheat Engine configuration file, as always with caution. of the tweaked field of view. The game appears to keep vertical field of view locked regardless of the aspect ratio of the screen, so gamers with ultra-wide or surround setups (both are supported) will get a correctly wider field of view. Only cutscenes appear to be pillar-boxed on setups with very wide aspect ratios. The in-game HUD also has issues on these setups. The game offers HUD scaling slider in the menu, but that usually isn't enough, so manual tweaks are required. To change this, navigate to the %USERPROFILE%\Documents\The Witcher 3\ folder and open a file called "user.settings" in text editor. Locate the line "UIHorizontalScale 1" and change its value. After saving the file, set its properties to Read Only. The Witcher 3 offers four graphics quality presets and three presets for post processing filters. Post processing filters do not have a very significant impact on the performance, at only around 14% going from Low to High. The graphics presets are a completely different story though. Choosing the Medium preset caused an 11% performance drop, which while noticeable is not huge. The high settings hurt performance a lot more - choosing the High preset caused the frame rate to drop about 64% from Low. The Ultra preset causes an even bigger performance drop - 84% from Low and 63% from High. Please note though, that testing was performed on a system with an AMD GPU, so the HairWorks effect had a more significant impact. Visual quality on the Low preset is average at best, textures are muddy, vegetation is sparse and trees switch from 3D models to low resolution sprites not very far from the camera. On the Ultra preset the game looks a lot better, though it's nothing really special. I'd even say that last year's open world title, Far Cry 4, looks nicer in some places and definitely runs significantly better faster than The Witcher 3. Furthermore, there is the downgrade issue where supposedly developers got rid of many special effects to get the game running on consoles and didn't attempt to implement them in the PC version. The game is not performing very well even on high end hardware so I wonder if they also left out some optimizations. Full resolution screenshots: Scene 1: Low, Medium, High, Ultra, Ultra + High post process. Scene 2: Low, Medium, High, Ultra, Ultra + High post process. The Witcher 3 offers some tweaks for mouse and controllers. There are two sliders for mouse sensitivity, one for camera movement and another for menus. There is also a Hardware Cursor setting that toggles mouse raw input. These are awesome features to have, other developers take note! There are also toggles for inverting axes and sliders for controller sensitivity. The key bindings menu is pure disappointment. A quarter of the actions cannot be rebound at all and thus block many keys, and that includes movement, which is locked to WSAD. This is completely unnecessary, and just prevents players from leaving the menu until all important actions are bound to any keys. Since version 1.04 this issue has been fixed and all actions can be assigned to a custom keys. The in-game GUI and menus can be easily navigated by a mouse or a controller, a few additional bindings would be welcome however. Camera movement in the game feels awesome and precise when controlling with mouse thanks to the raw input feature. Character movement on the other hand felt cumbersome and very inaccurate in tight spots or on a horse. Combat is nice and precise, and I have a feeling it takes a few hints from the Dark Souls series, but I haven't played previous Witcher titles so I can't really tell, if it's better or not. The Witcher 3 audio options offers just a few volume sliders and nothing more. The game supports surround sound systems very well and the positional audio uses all channels nicely. In this section we are going to look at how each effect impacts frame rate and how does each setting looks on screenshots. Be sure to check full resolution uncompressed PNGs linked in each section - these are linked in each section for better comparisons as the images in the sliders are compressed. Be sure to check our gallery for additional images and graphs. Shadow Quality setting controls the resolution of shadows and at what distance shadows are shown. The difference in visual quality is very apparent in direct comparison as the shadows are sharper and more detailed. Full resolution screenshots: Low, Medium, High, Ultra. Performance impact of Medium and High settings are on the low side (up to 10%), but the Ultra preset is very taxing and causes almost a 70% frame rate drop. This options should control amount of tessellation on water surfaces and waves. Personally, I haven't noticed a major visual difference. Full resolution screenshots: Low, Medium, High, Ultra. Performance impact of Water Quality is negligible on Medium (3%), moderate on High (15%) and quite high on Ultra setting (40%). This option controls how many trees are rendered in the scene and how many real 3D models of trees are used. The scene is much richer on higher settings as more trees on the horizon are shown and grass is rendered much farther from the camera. Full resolution screenshots: Low, Medium, High, Ultra. Performance impact is moderate on the Medium and High settings, at 11% and 15% respectively. The Ultra setting causes a 40% drop in performance. This setting replaces default hair with physics-based hair. As this is Nvidia technology, AMD cards perform with it terribly. There are options to turn the effect completely off, use it only on the main character, or use it everywhere. This setting controls how rich the grass is. Visual impact is not very major, as not many grass models are added. Full resolution screenshots: Low, Medium, High, Ultra. Performance impact is negligible, up to 6% on the Ultra setting level. Ambient Occlusion adds subtle shadows around objects and in corners. The Witcher 3 supports only two methods - SSAO and HBAO+. Visual impact is very noticeable, there are shadows everywhere and objects are more defined. Full resolution screenshots: None, SSAO, HBAO+. Usually, this is a very demanding effect, but performance impact isn't major, at only 8% for SSAO and 10% for HBAO+. This option controls texture resolution, on Low settings textures are very blurry and barely recognizable (especially in cut scenes), higher settings makes them sharper and crisper. I haven't noticed any difference when comparing High and Ultra settings in 1920x1200 resolution, so the game is probably ready for using higher 2k and 4k resolutions. Full resolution screenshots: Scene 1: Low, Medium, High, Ultra. Scene 2: Low, Medium, High, Ultra. Performance impact is highly dependent on available VRAM and in my case there wasn't major dip in performance. If you are experiencing stutter especially when rotating camera, consider lowering the texture quality. This setting should control amount of tessellation applied to terrain, but I haven't noticed any visual difference. Full resolution screenshots: Low, Medium, High, Ultra. Performance impact was also negligible, up to 4% on Ultra. This setting is a mystery for me, I haven't observed any visual difference and there is almost no performance drop. This setting controls how many people are in the cities and villages. I suspect performance depends on the CPU rather than the GPU with this setting, on my system there was almost no performance drop. The Witcher 3 supports only one anti-aliasing method. It is some sort of post process AA filter that blurs whole scene and kills details on textures. Maybe that is why there is also a Sharpening filter that repairs the scene a bit. There is also a Chromatic Aberration filter, that blurs everything but center of the image. Why would anyone use these blur filters is a mystery to me. Performance impact of each filter is very small, turning on every filter will result in a 14% performance drop. I've been looking forward to this game, unfortunately the final product feels rather unpolished. There is a lack of features like proper anti-aliasing methods or a field of view slider. Character movement controls are cumbersome, very restrictive keyboard bindings do not help either. In-game menus are easily navigable and the game supports raw mouse input, so at least there's that. Performance is not great and the game has problems keeping a decent frame rate even on high-end hardware. Stable 60 FPS@1920x1200 on Ultra is only attainable on a GTX Titan X, barely. That wouldn't be such an issue, if the game looked like it did in the first trailers. It doesn't look particularly bad, but there is very much to be desired. I'm not a native English speaker, but shouldn't the bit in the last sentence be "want us to create"? "more articles, more often" isn't elegant too IMHO. As for the main topic, I personally don't think the game really needed to be a new benchmark standard, but it's still a shame it's not very well optimized yet. 2: Visual wise there is no difference in Texture Quality between High and Ultra. Ultra just tells the game to reserve more VRAM for textures, effectively reducing texture streaming issues if you have sufficient VRAM. A couple things to note: The water quality mostly affects tesselation of water, but low and medium also disable the physics simulation so boats will not be affected by waves. Also as ChaosBahamut said, Ultra textures just increases the streaming texture budget to cut down on pop-in compared to the High setting. As for Hairworks, it performs just as poorly as TressFX even on nVidia cards though it will perform moderately better on newer cards with better tesselation performance. Due to it using dynamic tesselation, the performance impact becomes greater the closer the camera is to Geralt, so you can expect a 75% performance drop in cutscenes where Geralt's head is large even on a GTX 970. There really should be an option to enable Hairworks on everything BUT Geralt since that is the most performance-intensive part yet adds the least to the visual quality of the game. Since disabling Hairworks I have been pleased with my framerate though I have been encountering stuttering in some locations. The performance is actually good. I haven't played a game in some time that had this stable a framerate. It never turns into a slog, even at very high settings. At least on my GTX 970. 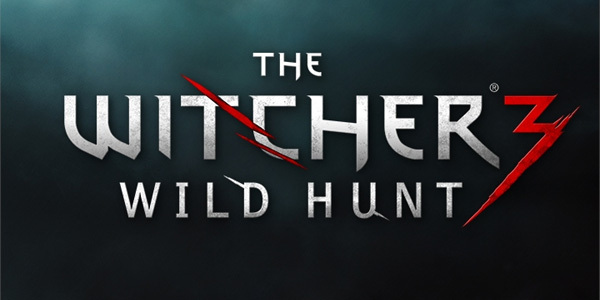 I've just noticed that there's a superfluous "The" before "Wild Hunt" in the title.